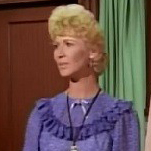 Colourized version of Heidi showing the incorrect colour for the gown. 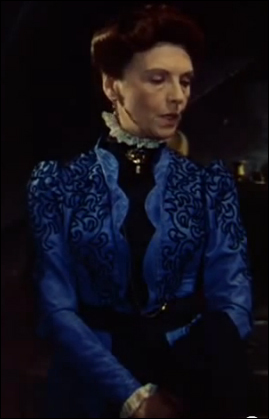 In this instance, actress Mary Nash wears the same blue Edwardian gown. 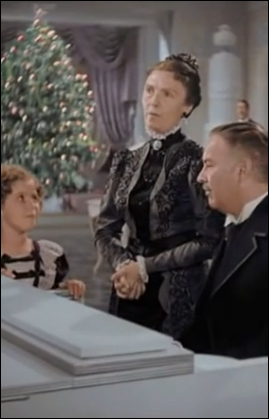 She first wore the gown in the film Heidi, where it appeared only in black and white. Its true colour was revealed to be blue just a few years latr when she wore the costume again in The Little Princess. 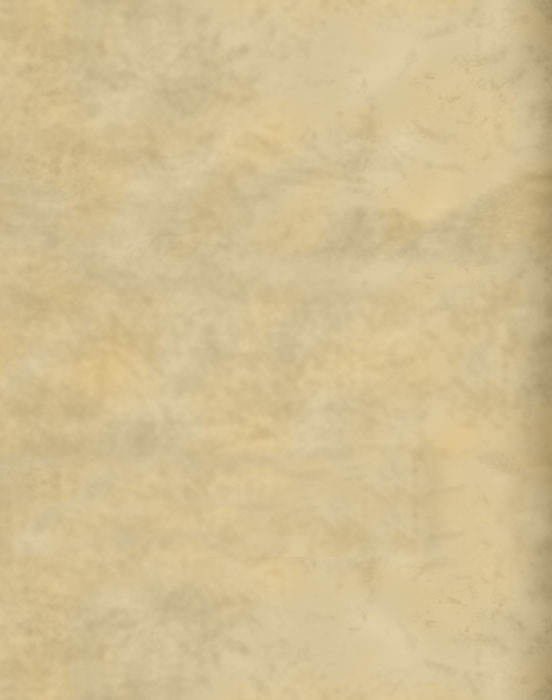 Despite the gown actually being blue, it has shown up in other places as a different colour entirely. 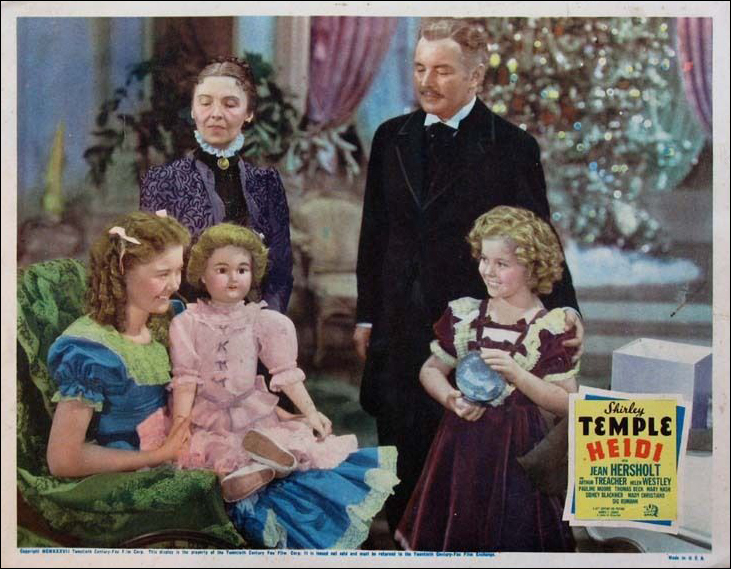 A lobby card features the gown as purple, though lobby cards frequently featured incorrect and imaginative colours for costumes. 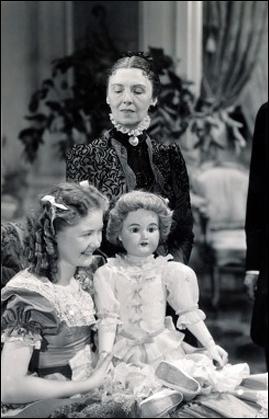 Once VHS became readily available, Shirley Temple movies became very popular again, and most of her films that were previously in black and white were colourized. 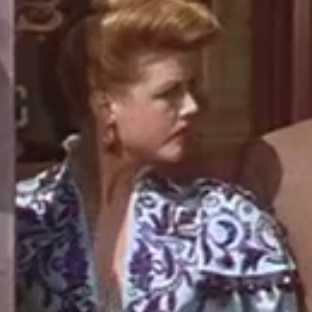 The colourized version of Heidi (at left) made the gown a brownish gray.